Though requirements are strict, if you have something to offer Canada, or family already in Canada, there are many options for working and living in the country voted one of the best in the world to make a home. If you are planning to work in, or immigrate to, Canada, you need to be prepared with all your documentation. Then, thoroughly research the visa or immigration stream that suits you and if you are eligible. You must always be honest and give any information requested. Requirements may change depending on your individual situation and over time so you should always investigate fully. If you are planning to stay in Canada for less than six months and are from the UK or USA you do not need a special visa. If you are a citizen of another country you need to check the requirements for your country. You can enter your country and find out your exact requirements here. If you wish to stay longer than six months without applying for a work visa, or permanent residency, you will need to apply to extend your stay. Find out how. There is a two-year super visa for visiting children or grandchildren without working. Find out if you can stay with your family and the requirements here. Americans travelling to Canada, or travelling through one of Canada’s airports, do not require a Canadian eTA if they have a valid US passport. Residents of any other country, including the UK, will need an eTA to transit through, or arrive in Canada. An eTA currently costs $7 CAD. 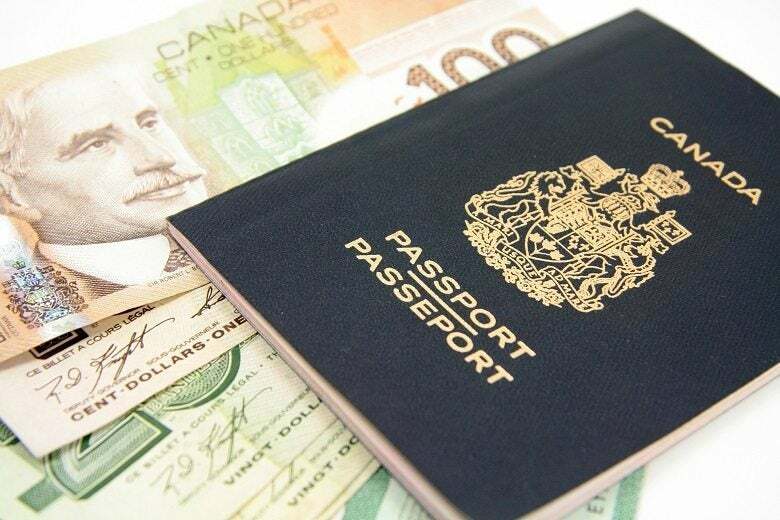 Though there are some exceptions, you will usually need a work permit to take a job in Canada. To work on a temporary basis in Canada you will need have a job offer from a Canadian employer. Your employer must have a Labour Market Impact Assessment (LMIA). You will usually be granted an employer-specific work permit which details the employer you will work for, how long you can work, and the location. There are special work permits for live-in caregivers, business people, and agricultural workers. There is also an International Experience Canada program, to travel and work in Canada as a youth. A Labour Market Impact Assessment (LMIA) may need to be obtained by your potential employer in Canada before they can offer you a role. An LMIA is only granted when an employer has done all they can to try and employ a Canadian worker. It shows there is a need for a foreign worker to fill their job. There are other federal immigration schemes if you are a live-in caregiver or a refugee. Each of the 11 provinces of Canada operate their own immigration programs. Some run alongside the federal schemes and some are independent. They will depend on the labour market in each province and the skills which are in demand. Some of the Provincial Nominee Program (PNP) criteria can be very favourable and they are well worth investigating. A study permit can be granted to those wanting to study in Canada at a Designated Learning Institution (DLI). These are usually universities or colleges. Student visas expire once the study period is over, and individuals are expected to return home. It depends on your individual situation whether you are allowed to work too. The Government of Canada website is excellent and contains all the information you will need about visas for living and working in Canada. There are questionnaires for most categories which give you the information you need based on your country of residency and individual situation. You can apply online for most Canadian visas. The process is strict, adhering to the eligibility criteria and requirements, and you should research these fully. However, it is a very efficient program. Most applications, if completed correctly, proceed in a timely manner.